For Houston homeowners with dingy, outdated bathtubs or showers, we offer complete tub and shower replacement and remodeling solutions to bring your space into the 21st century. Our construction process begins by removing your old tub or shower area back to the studs using clean, dust-conscious work practices. We do a full shower tear-out on every job so we can ensure there are no framing, pest, mold, or plumbing issues before we begin to rebuild with our high-quality materials. 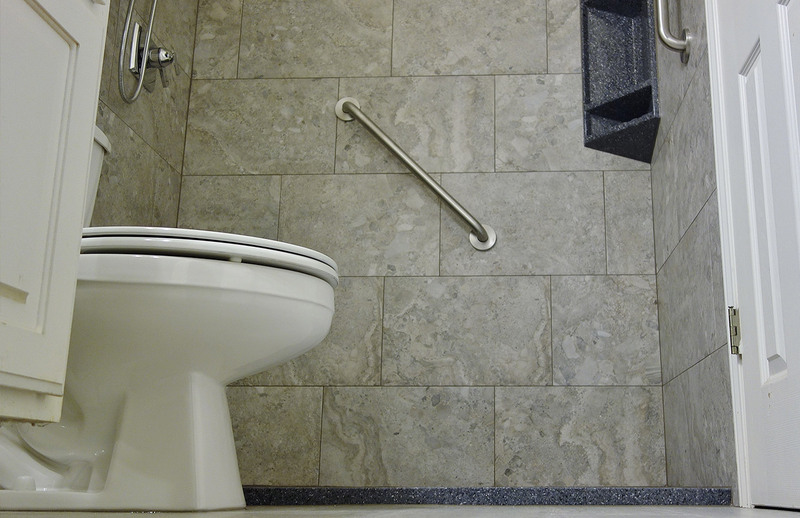 Your new tub or shower remodel will be built to your specifications, and can be customized with a variety of stone, tile, and solid surface products for the base and walls – including custom-tiled shower bases which are permanently waterproofed with a Schluter-Kerdi system. No matter what you choose, all of our solutions are leak-free. We often receive inquiries from Houston homeowners who are wanting to enlarge and expand their current shower footprint, sometimes by removing an adjacent tub to create one HUGE walk-in shower experience. We LOVE these projects! Other homeowners have “phone booth” or “cave”-type showers which are too small and need to be opened up, and we can address these needs as well. 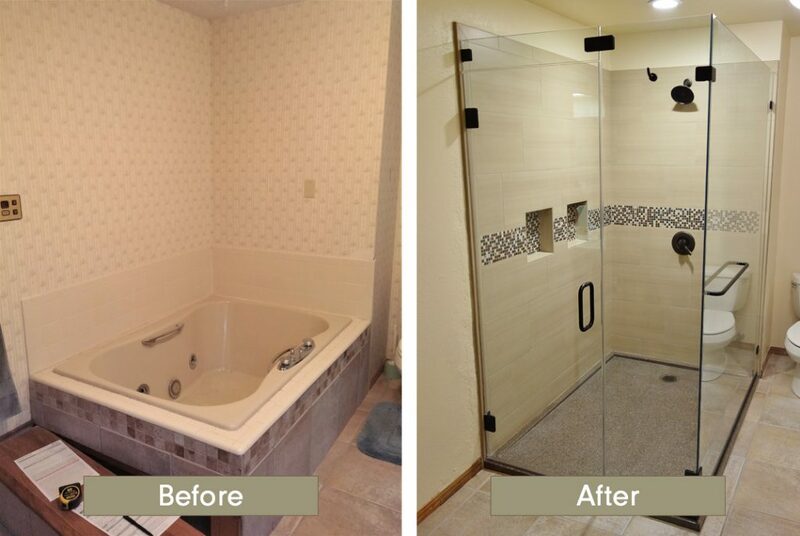 For all custom shower remodels, we offer built-from-scratch solutions to enlarge, update, and transform your current problem area into a shower or bath that is AMAZING!